I was so happy with my DJ tapisserie that I went and bought the ladies' version for my mother. Spent two days at my parents' place, 5 minutes from the beach. In 1982, Woo Hing sold a Rolex for $1305. The list price was $1545, which meant exactly a 15% discount, a practice still common today. Today, that watch, the stainless steel ref. 15000 has a market value of about RM13000. If you had invested that $1305 back then (36 years ago), that money would have made 6.5% per year compounded. Not only would it have outperformed a fixed deposit, you would have enjoyed a Rolex all that time. Even then, the Rolex was eye-wateringly expensive. Back then, most people only made a few hundred a month. Having that paperwork is so cool. Its in rather good condition considering its age. My father first entered the workforce in 1979. He said he made a whopping M$300 a month. Would be nice to be able to somehow measure relative affordability of a Rolex model over time. Would probably need inflation data, retail prices, and average wage data over time. The pulling out of the Swatch group from Baselworld is very instructive. Hayek kept telling MCH to reimagine the fair, but it kept to the same format. He said, the watch industry is booming now, now is a great time to undertake reforms! 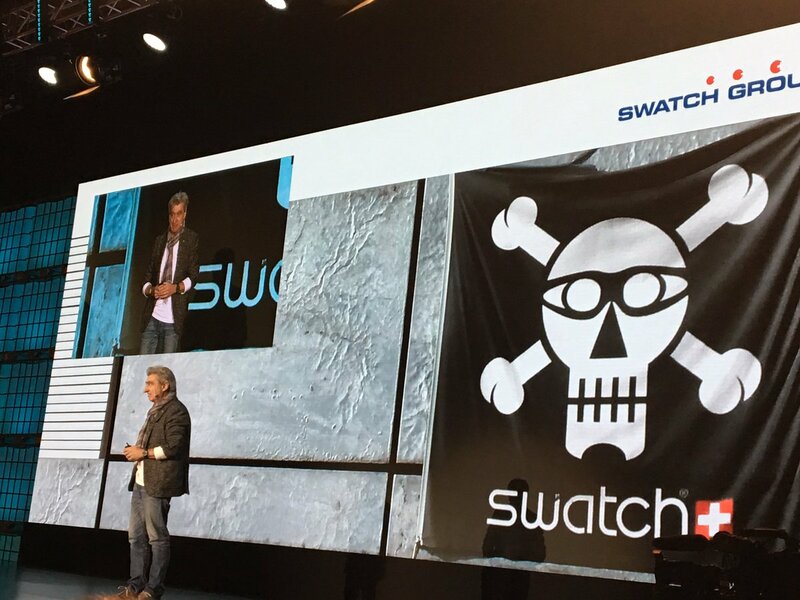 The reason the late Hayek called his conglomerate the Swatch group is to instill the spirit of constant change and creativity in all the brands it owns. He's saying, be a Swatch. Be a pirate. Always disrupt, before you are disrupted. Change while you are in a position of strength, otherwise you will have to change when you are weak. Normal people don't understand this. Very difficult to make normal people behave like this. They are just warm bodies. Also, you get to hear how a real entrepreneur sounds like in Nick Hayek's voice. If you don't sound like that, you're probably not one and should stick to your job. The Rolex cyclops was introduced in 1954. I think I know where they got the idea from (no one else was doing it then). To anyone interested in photography, 1954 is an epochal year, for it saw the introduction of the greatest camera design in human history: the Leica M3. Which has a magnifying lens over its film counter. The previous model, the Leica IIIg, did not have such a feature. Actually the period immediately after the war was a special time, especially in Germany. All the survivors have lost family members: Sons, fathers and such. It took several years to get the factories back to producing civilian goods, as opposed to producing war supplies. These goods, designed after the war, started coming to market in the 50's. They were very remarkable. The Leica M3 is an example. 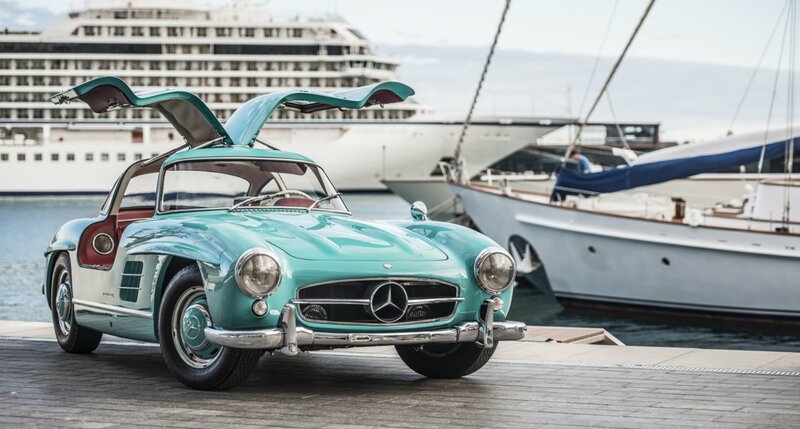 The Mercedes 300SL another, also introduced in 1954. I thought you'd just index it to the price of a Big Mac. On a real croc Hirsch strap which I bought from Red Army Watches in Pavilion. The beauty of this particular strap is threefold. First, it has no thickening as it approaches the watch head, a.k.a. padding. It is the same thickness throughout. The padding is a source of great discomfort for small-wristed people. Second, it's glossy, not matte. Third, it tapers quite a bit from 20mm to 17mm, giving it a dressier look. The problem with a NATO is the lack of tapering. Even 20/18mm is not enough. When there is not enough tapering of the strap, I always get the feeling the strap is too wide for the watch head. It appears there is something structural to the human mind that wants to see a watch strap a certain width in relation to the watch head. b ) while in the process of either being taken off the wrist, or being put on the wrist. I think if somebody were to investigate, they'd find that watches on bracelets get dropped much less frequently. The vulnerable moment is when you are about to buckle up a watch, or when you've just unbuckled it. Therefore, use deployant clasps on your straps. They also prolong the life of the straps. My experience with the sales assistant at Red Army Watches in Pavilion was comical. She said she cannot punch additional holes into my Hirsch strap, because she is not good at it. Customers in the past complained the holes are not centered, she said. I said, fine, I'll punch them here, myself. Which I then proceeded to do. Two perfectly centered holes. When she was mounting the new strap, she said she cannot use the spring bars in my old strap because they were too short. Your watch will fall off, she said. By now I know I was dealing with a retard. If my watch will fall off, how on earth did my watch get in one piece to Pavilion? Why hasn't it fallen off yet? I said I did not agree the spring bars are too short. She CROSSED ME, saying they simply are too short. She then proceeded to pick out two new spring bars from her stock. I'm trying to be helpful! she said. I said, I know, but you're wrong, I told her. b ) of different lengths, one being so long that inordinate force was needed to remove it. I have no idea how one could run a bespoke tailoring business with the sort of people who would apply for full-time retail jobs. They are so useless. Brain damaged. Hapless. See, she has worked there for years. In all those years, she failed to teach herself to punch holes. She failed to teach herself to never cross a customer. Such fundamental things. This reinforces my suspicion that below a certain IQ level, a person is not self-teaching. They cannot teach themself things. They need to be explicitly taught, repeatedly, before they learn something. Above a certain IQ level, people are autodidacts. They make sense of their environments. Through observation, they can figure out anything. Rolex in general, and DJs in particular, are not photogenic. It's almost as if they weren't designed by people sitting in front of computer monitors, but by people making prototype parts then assembling them into prototype watches and evaluating the aesthetics that way. A significant portion of Rolex's visceral appeal is its sparkle, the way it plays with light. Rolex discovered this insight relatively late, maybe in the late 50's. 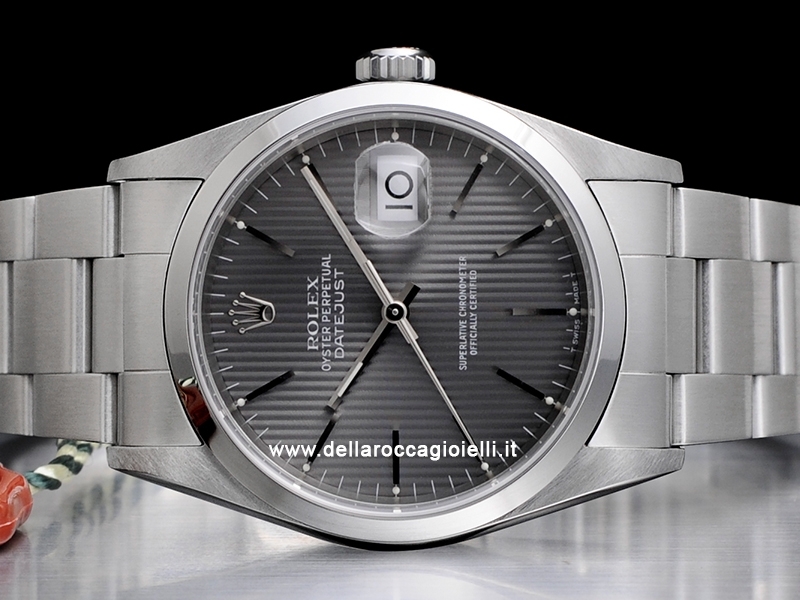 Over successive model generations, Rolex kept optimizing for sparkle. These decades of insight into sparkle culminated in the ridiculously sparkling Sky Dweller. For some reason, the other manufacturers did not grasp this, or executed to the same extent. They made dull watches. It's like Carl Zeiss vs everyone else. Only Zeiss optimized for contrast and saturation. The others were optimizing for resolution. Zeiss played a different game. It took the others so long to also play the contrast game, but even then they don't do it to the same maniacal level. Look at how intensely sparkly the Sky Dweller is. The commentator above is very mediocre. This cafe in Bentong has superlative coffee. And ambience. Squale on croc. I asked myself why this cafe has such good ambience. a ) It has both aircon and ceiling fans. This makes it not only cool, but breezy cool. b ) It has great mellow music transmitted via high quality bookshelf speakers. Good music via tinny speakers is an annoyance. Lousy music via great speakers is also an annoyance. c ) It has huge windows that give a view of the low velocity road outside. A view onto fast moving traffic is unpleasant. A view onto LED lit mall interior is also pointless. One of the most accomplished second finance ministers. 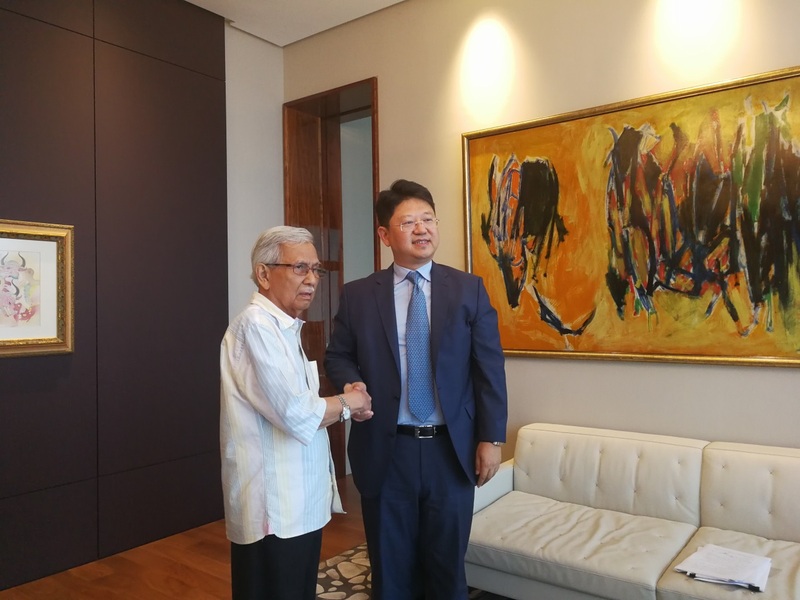 Together with his colleague the superb Finance Minister, he showed an insatiable appetite for tax income and for foreign debt (actually, any debt at all, provenance is of no consequence), and shows for it with...with...a Richard Mille. Rosmah, too, has (at least) one. In the secondary/used market, for every Submariner, you'll find a dozen Datejusts. In reality, the popularity of the Rolex sports models to the exclusion of other models is a new phenomenon. I think it started about 10 years ago and intensified in very recent years. For the longest time, the model that paid the rent, kept distributors solvent, paid Swiss canton and federal taxes was the Datejust. The Datejust was the everyday watch. It is not a dress watch---that is a current perception. In 2018, the role of an "everyday watch" is played by a diver's watch. This is a new phenomenon. In the 70's, 80's, 90's and early 2000's, the Rolex everyday watch was the Datejust. To understand how such a "dressy" watch isn't actually dressy at all, or is only dressy by contemporary standards, you need to understand that back then, family sedans had real wood veneer in their interiors. Factory workers donned ties to work. The JLC Reverso, for instance, was conceived as a sports watch. Today, it is seen as a dress watch. The wearability factor of the classic 36mm DJ is sky high. It is light, small, and doesn't protrude much. Here, I equipped mine with croc straps mounted via rather small-diameter spring bars. This is to prevent the strap from rubbing against the case. With other watches, this is of no consequence, but Rolex engraves both serial and model numbers exactly where they would be rubbed away by a strap. The thin spring bars give more distance between strap and case, but also unfortunately lets some daylight through. I was behind a group of older men on an elevator the other day, when I noticed the watch on one of them. He wore his watch really loose on the wrist. The way one would wear a bangle or a gold bracelet. It then struck me this is also a valid way of wearing a watch. Here you see Daim with his 36mm classic Datejust worn very loosely like a bangle or a bracelet. He wears this watch quite often, if you do a Google image search of him.